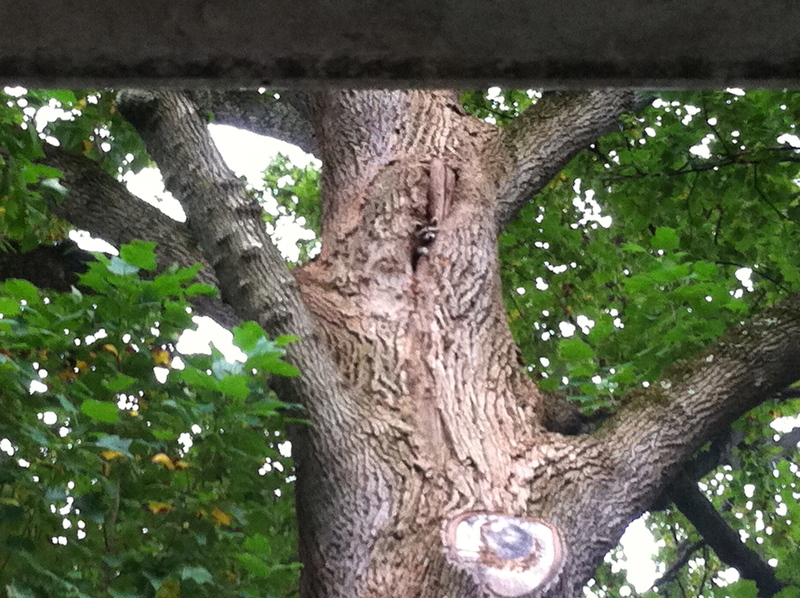 From behind a window on the second story of our house, I watched a racoon drop into the nook of our Tulip Poplar, the massive tree in our new front yard. We were all settling in, it seemed. The racoon family in their high perch, the kids at school, and me into my office in the attic, where I was spending my days working on various freelance writing and editing projects. I was so busy with said projects in fact, that I wasn’t even looking for another client. Certainly, I wasn’t job hunting. I figured I’d see how the first year of freelancing in DC went, then asses the situation. Senior Editor. In Kid’s Books. At National Geographic. I sucked in my breath. I’d always wanted to work there. But, of course, I did some research on it, I wondered how I’d do this job and be a mom, oh and those other things I do (Iceland Writers Retreat! Ever After Studio!). But I knew, instantly, that I had to apply. And after I met the kid’s team (interviewing with 7 people), I knew it would be a good fit. They thought so too. This week, a nanny hired, a schedule arranged, a new pair of congratulations shoes purchased, I started at The Society (as they say) and I’ve already got a long list of books that I’ll be editing, with many more to come. The fantastic new adventure is underway and I’m thrilled. But what of the other projects you say? Don’t worry. Of course, the Iceland Writers Retreat is going on as planned. Of course I’m still involved. And yes, it’s great synergy that Andrew Evans, a National Geographic Traveler Digital Nomad, is one of our featured speakers. As for Ever After Studio, that too will go on. Amy Novesky will scale up, and I’ll scale back. I’ll be involved in the EAS projects that are ongoing and still in the works. And going forward EAS will be more selective about signing up new projects—doing only a small assortment of things EAS loves and does best. And all my various other freelance projects are now basically complete—after my extra efforts working overtime to get them out the door before the new job started. And too, there’s my own creative writing, which now will be relegated to an evening a week after the babes’ bedtime or precious hours stollen here or there. But even with the complications of a full time job and with my other projects, I’m nothing short of delighted to have landed in a place known for explorers, beautiful maps of hard-to-reach places, and books that attract reluctant readers and engage kids by depicting the marvels of our planet. 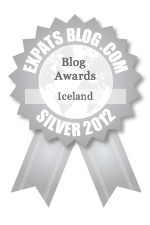 Check out my piece on the Travel Channel blog, The Traveling Types, about writing in Iceland. 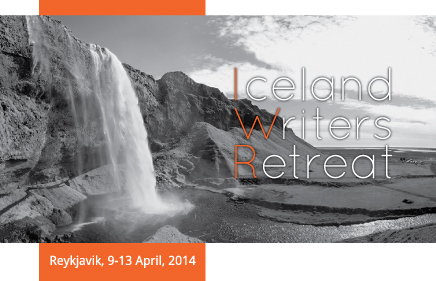 Join us in Iceland this spring for the Iceland Writers Retreat. Acclaimed travel writer Sara Wheeler talks about IWR. 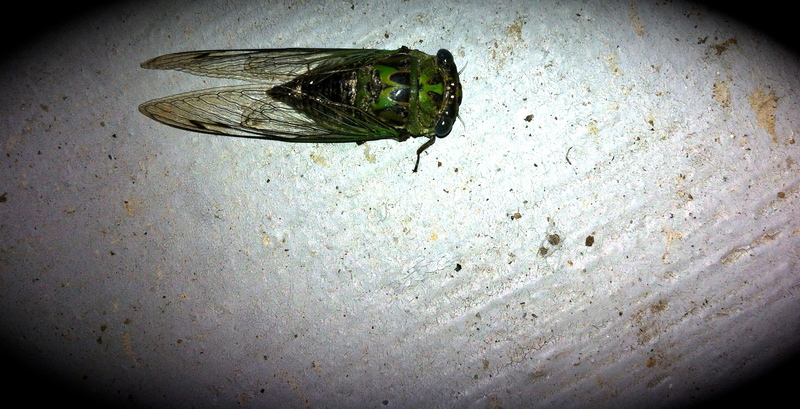 *Cicadas are loud. And when they are dead, I’m totally fascinated by their shiny fat heads. *Clouds form on the horizon when it is super hot, not because it is necessarily going to rain but b/c of the heat. Could someone explain that to me? *I love the architecture of the 1890s town houses in Capitol Hill—the colorful bricks, the turrets, the rod iron gates. I’m mesmerized by the enormity of the trees in this city especially the gigantic one in our front lawn. I’m smitten with the long, large front porches in Northwest DC. *Mosquitos are fierce and can do serious damage to a young girls’ legs. Especially if said young girl can’t stop scratching, picking, touching them all the time. *Nannies are everywhere. I remember when I got to Iceland asking about a nanny and getting all kinds of blank stares. Nannies were everywhere in Russia too, but after Iceland it is sorta shocking to see so many kids being raised by nannies. No judgment, just an observation. But it does bring me to my next item. *Why on earth is the school day not linked to the work day? Why is that so hard to figure out? In Iceland, the school provided some sort of childcare until the work day ended. I guess schools have some sort of service like that here too-but at our kids’ school, aftercare has been fully booked since last March. No chance of us getting in it. Which means, of course, we’ll have to find a nanny. *Some houses are really, really big. *Grocery stores are overwhelming. You can get everything and anything in one spot. *Entering a grocery store is still a total shock to my senses. I can’t believe that in one place, under one massive roof, I can buy fresh kale, filo dough, kiwis, snap peas, arugula, soy burgers, Zaa’taa, star fruit, ready-made pie crust, dried cherries, really good ready-made hummus, you name it! But if you want to buy Museli, you better go to one of those stores with bins, otherwise it’s a fortune. In Europe, you could get loads of Museli for cheap just about anywhere. *Other odd food things: For the first time in 7 years, when I want to buy baking chocolate, I’m not totally stumped. The box is labeled with exactly what the recipe asks for. And why doesn’t Safeway or Giant carry Finn Crisp crackers? Guess I have to make a special trip to some special store to get my fav. crackers. *I had actually forgotten what it feels like to be super hot. Where the heat presses down and sits on every pour, even in the middle of the night. *The fact that I can understand what everyone is saying around me all of the time, warms my soul. Though I do, from time to time, stop and turn around to see if I recognize the English speaker behind me. *And just like that, I’m a crazy American doing too many things at once. 3 big freelance jobs, a major house renovation project, full–time mama cooking 3 meals a day, a writer trying to work on her stories on spec. What happened to the slow, manageable lifestyle? Maybe I’m just suited to be ultra busy. Maybe it’s living in a big city in America. *Now that we live in a house we actually own, all I can daydream about is how I want to fix it up, customize it, make it look like it is ours. Someday. . .
*It’s started to rain leaves out front, brilliant red, yellow, and orange leaves trickle down from our massive tree and blow from the ones on the block. It’s gorgeous. The way I remember it, I stood leaning against a cocktail table at the US Ambassador’s residence in Reykjavik. I’d come for a reception in honor of something creative. I can’t remember what it was for anymore, but I do remember admiring the creative types: an extremely tall, posh woman visiting from New York, a youngish woman in purple tights in charge of some arts group in Iceland, a man with oversized glasses I wanted to meet. Perhaps the reception was in honor of RIFF, the Reykjavik Film Festival or Design March, the design festival. Whatever it was for, I’d found myself at this tall cocktail table standing next to a dear friend, Eliza Reid, and I recall we were talking about how the reception and festival were inspiring. “Okay,” I agreed, not really thinking much of it. We talked a bit more about the zillions of things we could do to make it great, but I didn’t really think we’d try to pull it off. But then, I hadn’t really thought about with whom I was talking. Eliza Reid is a force of nature and when she puts her mind to something, she puts the full might of her energy and smarts into it. I think of her as the go-to writer for anything in English in Iceland. She has her own company that provides freelance writing and editing and some event management. We’d been introduced before I even came to Iceland and through emails and then calls, she was instantly my go-to person for all other questions related to life in Iceland as well. Pretty soon after I arrived, she offered me a chance to work on some freelance writing projects with her. When she was too busy to take on a client, she’d outsource to me. I’d loved working with her, not just because she’s super intelligent but because she’s organized, well-spoken, creative, friendly—you know, the whole package. I should have known this Oxford-educated, former university class president lady would not have just let an idea as good as this slip away. The following day, she called to rattle off a list of people we had to talk to if we wanted to get the Iceland Writers Retreat off the ground. I’ll never underestimate Eliza again. We immediately got to work on a business plan, a budget and a road show around Iceland where we garnered support from Icelandair and Icelandair Hotels, government and non-governmental agencies, embassies, and creative leaders around Reykjavik. Since that day, nine months ago now, we’ve both been working at full speed to bring Iceland Writers Retreat to life. The first event is April 9-13, 2014 in Reykjavik. To read more about exactly what it is, how to participate, who is coming to lead the workshops, and why it is going to be amazing, visit our site, www.IcelandWritersRetreat.com We hope you’ll join us! As a freelance writer and editor, I’m always working on a number of projects under the umbrella of publishing. 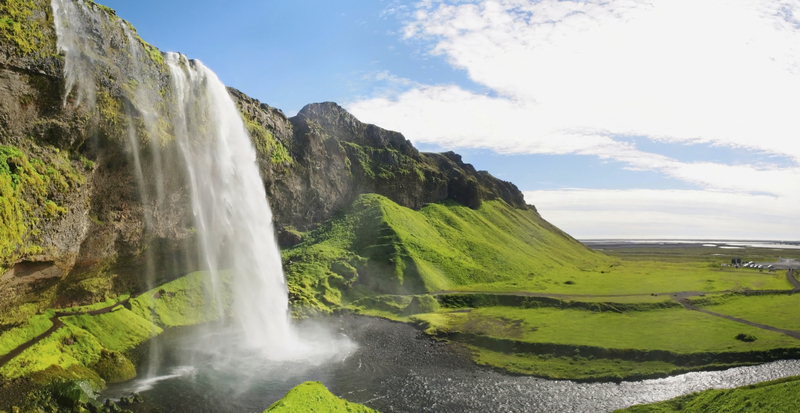 One new, big, exciting project is (drum roll): THE ICELAND WRITERS RETREAT! The excellent Eliza Reid and I have founded this event, which will take place in April next year. Come and visit Reykjavik from April 9-13, 2014 for the Iceland Writers Retreat. The retreat welcomes published and aspiring book writers in the fields of both fiction and non-fiction to participate in a series of workshops and panels led by an esteemed team of international writers. The retreat will be based out of Icelandair Hotel Reykjavik Natura, a recently renovated, modern four-star hotel next to a popular wooded area, just a 20-minute walk from the city center and five minutes from a geothermal beach. Between intimate workshops and lectures, the Iceland Writers Retreat offers the chance to tour the spectacular Golden Circle, sit in the cozy cafes of Reykjavik, soak in geothermal hot springs, listen to new Icelandic music, meet contemporary Icelandic writers, and learn about the country’s rich literary tradition. Workshops will be led by published writers from around the world whose works feature a theme of travel or journeys. These include Pulitzer Prize winning author Geraldine Brooks, New Yorker staff writer Susan Orlean, Ryerson University professor and author Randy Boyagoda, award-winning memoirist Iain Reid, Man Booker Prize nominee James Scudamore, Scotiabank Giller Prize Winner Joseph Boyden and National Geographic Digital Nomad and National Geographic Traveler Contributing Editor Andrew Evans. Our founding sponsors are Icelandair and Icelandair Hotels. The Iceland Writers Retreat is also endorsed and supported by the Ministry of Science, Education, and Culture, UNESCO City of Literature, the Icelandic Literature Fund, and the City of Reykjavik. For more information or to join the mailing list, visit our website, www.icelandwritersretreat.com, Like our Facebook page www.facebook.com/icelandwritersretreat, follow us on Twitter @IcelandWriters and tell all your friends! We look forward to welcoming you all to Iceland next year. “What should I do when I visit Iceland?” I could babble on and on about this topic for hours. So before my memory starts to fade, I thought I better jot down all of my top 10 places to visit, things to do, whatever. Okay, so maybe top 10 isn’t exactly right. It’s not really my version of 36 Hours in Reykjavik either. But it is a quick list of great things to do—for visitors, friends, or anyone headed to Iceland looking for the best coffee shops, lunch spots, boutiques full of Icelandic design, you name it. Been to Reykjavik and have something to add? Did I forget something? Do tell. — from Krýsuvík to look for the monster in the lake, then to the bubbling earth at Seltun. At the waters edge, pick blueberries and drive along the sea toward Eyrarbakki. Stop at the Rauðhusid for lobster lunch, pause at Strandakirkja Church by the sea, then head back over the steaming mountain. If there is time, go to the hot river in Hveragerði. –Glymur, Hvalfjörður. Drive, hike, climb, descend, drive, dine at Hotel Glymur. –in Snæfellsnes Peninsula. 2-3 Days. First do the walk from Arnarstapi to Hellnar. Then have lunch in the tiny stone house on the cliff called Fjoruhusið—veggie quiche, please- – while you look for seals out the window. Drive to the lighthouse at the end of the peninsula to birdwatch, climb the small Saxhóll crater, up to the Shark Museum. Over to Stykkishólmur to putter around in the few small museums, take the boat trip to sea where you eat fresh raw fish they pull up while you are on the water. Back to eat mussles at Narfeyrarstofa. ‎That night, a fabulous sleep at my favorite Hotel Budir. –Reykjavik to Höfn in 4 days. First stop are the two big waterfalls (Seljalandfoss then Skógafoss). Then onward to Vík to look at the basalt formations, play in the black sand beach and make the requisite stop at the N1. Onward to Kirkjubæjarklaustur to climb beside the waterfall before heading to see the big blue icebergs in Jökulsárlón Glacial Lagoon and the quiet, empty iceberg lagoon just a small distance away. We always liked to stay at an Icelandic Farm Holidays spot but wherever you land, find your way to the hotpots in the valley of Hoffell. Finally, don´t forget to look for the herds of wild reindeer outside of Höfn. –West Fjords: 4 Days: Drive to Stykkishólmur then take the ferry past Flatey. Check the tires and that the car is in good shape then go west around the fjords, first the red sand beach, then ending with an Air BandB stay in some of the world’s smallest homes in Isafjordur, the booming metropolis (okay it’s a gorgeous small town at the edge of the planet). –Of course too there’s Husavik and the North of Iceland, and Skaftafell, and Thorsmark, I could go on and on, but my fingers are tired. Go explore, I hope you fall in love with Iceland the way I did. Note: You never know when another good thing will come and one will close, so always check restaurant and hotel listings first. This list was accurate as of August 2013. Also note, I´ve added links to websites listed above when I could. I haven´t always linked to the English language page, but most places have a button somewhere that will take you to at least one page in English. Hopefully this list will get you started. “I live in America now,” I say, my voice growing quiet and then rising at the end of the sentence as if it is a question. But I’m pretty sure this statement is a fact. Our grand home in Iceland has been emptied out and I distinctly recall boarding an airplane, flying over Greenland, and heading far away from Reykjavik. Somewhere in one of my suitcases is a copy of official government travel orders that confirm our domicile and next posting as Washington, DC. And yet, despite the paperwork and crystal clear memories of an airplane flight, I’m not really convinced that I live here. Not yet. In the nearly three weeks since we were “wheels up,” as they say, we’ve been in California on Home Leave, the break the State Department gives diplomats returning from overseas service before starting their next assignment. The first week back in the US was all family, all the time. Mr. Green was with us while we spent extraordinary amounts of time with my relatives. And then in a flash, he headed back to DC for training and I took the kids and went with my parents and sister’s family to a tent-cabin in the mountains. Escaping from everything, at the Lair of the Bear, I met up with dear old college friends, donned ridiculous costumes, threw outrageous themed cocktail parties, got fantastically dirty, and enjoyed the endless stretch of pine trees and the blue mountain lake at a family camp I’ve loved since I was seven years old. But return from the Lair is never easy. And for me, it meant coming back to this state of inbetweeness. Back in Los Angeles, I’ve tried to catch up with old friends and do the classic touristy stuff with the kids, flipping on that rusty old switch that allows me to be a super-in-the-know native Angelino. And while I pretend to still know what I’m doing here, I’m also trying to figure out where here is exactly and when I’m going and where I’m going, at what point I’ll be at that next here. Somehow, while trying to find a sacred hour or two to work on my editing and writing projects (oh yeah, that career), I’m also fielding calls from the lovely and super efficient Mr. Green in DC about the delivery of our storage, or how long it will be before we get a family cell phone plan, or how he needs to get a DC driver’s license before the public elementary school will accept the children (because the deed to our home and our new utility bills are not enough). There’s nothing like the return from an overseas post to make everything seem upside down, to make this girl feel totally unbalanced. And today, I’ve been pretty grumpy about it. Thing is, I really like routine. I like being in my own house. I crave order. And I think America is pretty amazing. So if you offered it to me now, I’d jump at the chance to never move again. At this point, I’m ready to just get to DC, get our new house unpacked, put the kids in a regular program, and get myself back to work. I know that I’ve raved about this crazy nomadic lifestyle, but today, I’d do anything to feel grounded. Luckily, I’ve been here before. Isn’t it always week three of my living out of suitcases in my parent’s house where I end up complaining? Isn’t this always the point where I want to throw something against a wall because if feels impossible to have a career and have these long stretches of serious transition. Don’t I usually start dreading all the crap that comes with setting up a house and moving to a new city, right about day 21? And isn’t this always about the time when I want to inhabit my own space more than anything? Thankfully, the bitter bit has hit while I’m in gloriously sunny southern California. I have fabulous lifelong friends still to see and a short-list of favorite places still to visit. And now that I’ve bitched about this f-up, super-long-hazy-lost-in-space period, I think I’ll go try to do one late-night hour of work, then email my oldest dearest ladies about fitting in a spa day. Better that then start to think about how, in just a few days, I’ll lug my two children, five suitcases, and three carryon bags through LAX to try to forge our way through to our next adventure. I’m sitting in an almost empty room, surrounded only by moving boxes. Our two years in Iceland is over and it’s time to move to Washington, DC. But I can’t go without first telling Iceland how much I love her. Oh, how I’ll miss the big sweeping majestic national parks, but also the little, wonder-filled details. I already miss. . .
*Seltjarnarnes: soaking my feet in the hot foot bath while I stare out at the majestic mountains and watch the rough surf; racing out to the peninsula on a dark night in winter to glimpse the northern lights; arriving when the tide is out and we can walk over the breakwall and all the way to the lighthouse; returning when the lighthouse is on an island, surrounded by the deep sea, and marveling that it was ever possible to walk out to that far-off spit of land. *Heading off onto any of the walks from the Reykjavik Walks book. http://www.amazon.com/Walking-Trails-Greater-Reykjavik-Area/dp/993541826X But especially, finding the ruins from the ancient village at Straumur in Hafnarfjörður. *Driving for twenty hours over rough trail roads, emerging into a small town and then running into someone I know. Because, of course, I did. This is Iceland. 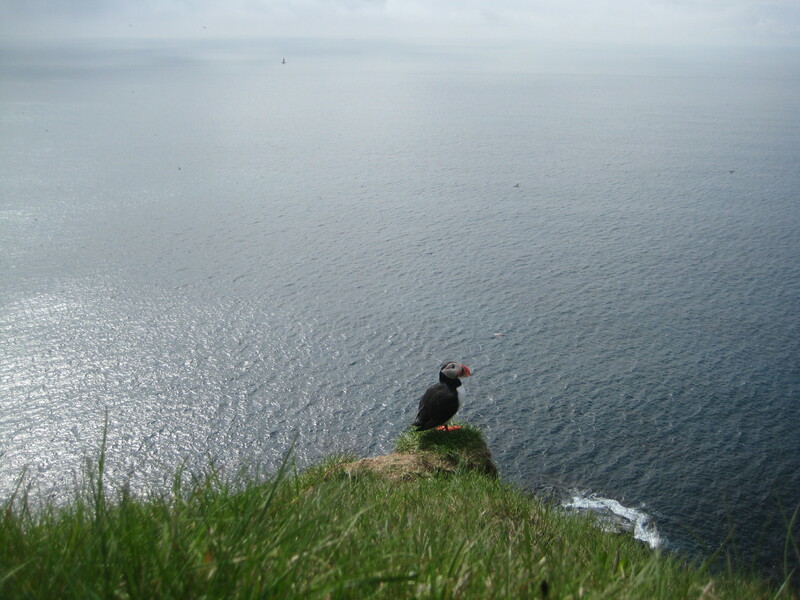 *Sitting on the Látrabjarg cliffs in the West Fjords and having a puffin fly over and alight just inches away. Then another, and another. . .
*Finally spotting the herd of reindeer roaming the fields outside of Höfn, and just as I do, watching a flock of swans swoop down beside them. *Walking through the dark on Laugavegur on Þorláksmessa, Dec 23rd, with thousands of other Icelanders mezmorized by the hand-held candles and watching as tiny flakes of snow fall around me. *Texting friends: “any sign?” Then waiting and hoping and running outside in the freezing night in my PJs and a Russian winter hat to try and glimpse the northern lights. *March 17th, 2013, the night of the massive solar storm when the sky exploded with waves of green and the brightest craziest best light show a girl could ever want (especially a girl who waited so long to catch even the small glimpses of green). *Donning my fur vest, purple tights, red Hunter rain boots, KronKron dress or any other outrageous but totally standard outfit and heading into town with the mamas. First stop, a cocktail. Second stop, a long tasty meal. And then a long dark or light night that stretches well into morning. *Turning before the tunnel to drive all the way around Hvalfjörður‎. Searching the fjord for whales. At the tip, hiking up to find Glymur, then heading over to Hotel Glymur for a late soup-lunch with warm bread. *The day when we just drive and then stop beside a lava field. Find a hill, park the car, traverse the lava field and climb to the top of a peak. And the kids love it. *Soaking in the Blue Lagoon: in the snow, in the hail, in the wind, in the blazing sun, in the dark, under pink skies or grey skies. Any time. *Any and every of the 13 days before Christmas. But especially the little troll men, the Yule Lads, that come with it. I heart Skyrgámur og Stúfur. * Making my way to the geothermal beach at Nautholsvik. Sitting in this hot pot watching the sea is my idea of tranquility. *Long runs on the trails along the fjord from Gardabær to the University or from Gardabær to Álftanes. *Squinting my eyes to watch the play of light on the elaborate glass façade inside and outside of Harpa. *Never having been one to love birds, I now love to identify and find Loa, Oyster catcher, Arctic Terns, and the swans. *Listening to M, my fabulous five-year-old, speak so fluently in Icelandic. And then marveling at how the young mind is so elastic. *Stumbling across modern and ancient houses with turf roofs. And going home to read Flowers on the Roof and the story of Grannie Gunn. *Looking at and walking through lava fields: black rocky ones, green mossy ones and all the thousands of other ones in between. 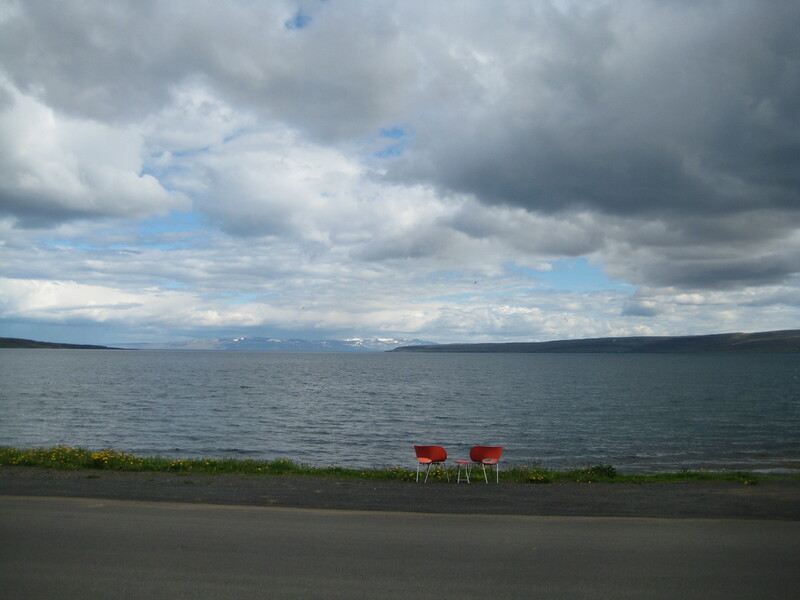 *Taking the five-minute boat road out to Viðey to walk on the grassy paths and stop for a coffee on a warm, summer day. *Exploring, Shopping, and being entertained at: Design March, Airwaves, Culture Night, and all the other little festivals in between. * Snæfellsnes: the tiny stone cafe (Fjöruhúsið) tucked on the hill beside the coast; the drive around the whole peninsula; laying across the cliffs at the lighthouse on the tip of the peninsula with the hopes that the cliff doesn’t drop off beneath me; making the easy climb to the top of caldera and wondering at how the volcano blew so recently; listening to the owner of the shark museum prattle on and on, mostly in indiscernible Icelandic; the colorful wooden homes on the hillside of Stykkishólmur. Sigh, I heart Snæfellsnes. *Seltún, Krafla, Hvergerdi, and all the other spots where the ground gurgles, the earth hisses, steam rises into the air, and water, ash, mud, and maybe even magma bubble, so I feel like I’ve landed on a distant planet or the center of the earth. *Looking down from our ferry to see that we´ve stopped on the picturesque and magical tiny island of Flatey. *Narrowing, squinting, peering, trying different glasses on, whatever it takes to try and spot the edge of Greenland while standing on a cliff in the West Fjords. *Wandering through the colorful tin houses on a bright night in Reykjavik and finally stumbling into one where I meet my bookclub ladies and we talk and eat until all hours of the night. And it is till bright out when I finally head home. There´s so many more of these, but I´ve got a plane to catch. . .